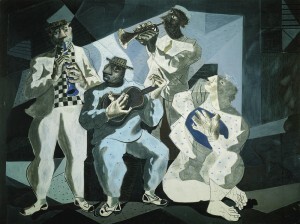 Portinari was one of the the most important Brazilian painters and also a prominent and influential practitioner on the neo-realism style in painting. The word choro in Portuguese literally means “to cry,” which seems like an ironic name for music that is often so joyous and celebratory. Actually the term refers to the lilting or “weeping” qualities of the solo instrument, usually a flute or clarinet (Think of the way Benny Goodman could “wail”). Choro music is roots jazz from Brazil, and considered Brazil’s first “urban pop” music. 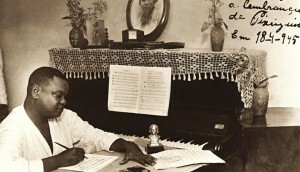 In this unique show you will experience a wide range of pieces by many of Brazil’s important 20th century composers, including Pixinguinha, Jacob do Bandolim, Paulinho da Viola, Orlando Silveira, and many more. The Choro (Crying), considered one of the oldest gender and rich instrumental music from Brazil. This style of music has been presented since the nineteenth century in all regions of the country.These days, Choro is enjoying a renaissance not only in Brazil but around the world. Originally choro was played by a trio of flute, guitar and cavaquinho (a small chordophone with four strings). Other instruments commonly played in choro are the mandolin, clarinet, saxophone, trumpet and trombone. 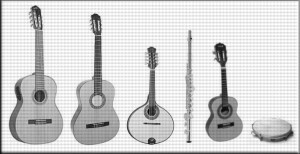 These melody instruments are backed by a rhythm section composed of guitar, 7-string guitar (playing bass lines) and light percussion, such as a pandeiro. The cavaquinho appears sometimes as a melody instrument, other times as part of the rhythm. Compositional structure: a choro composition usually has three parts, played in a rondo form: AABBACCA, with each section typically in a different key (usually the tonal sequence is: principal key->relative mode->sub-dominant key). There are a variety of choros in both major and minor keys.